Hey folks! I am trying to actually make a real go of getting back into making gaming stuff. 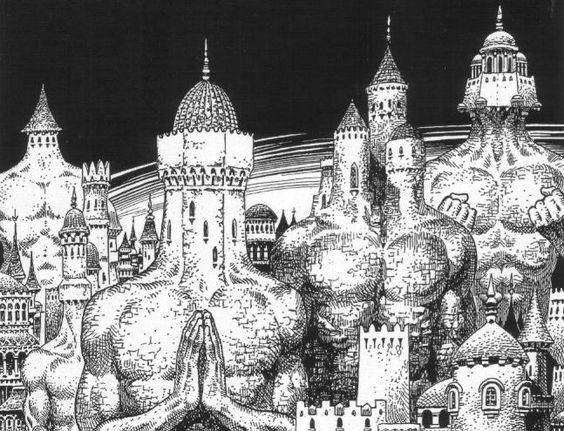 I still am working out what I want to do with my crazy city, but in the mean time I plan on putting out free content to all. I've made new illustrations of some magic items that I am turning into item cards using 5e and OSR/OD&D though I am happy to take requests for other systems. 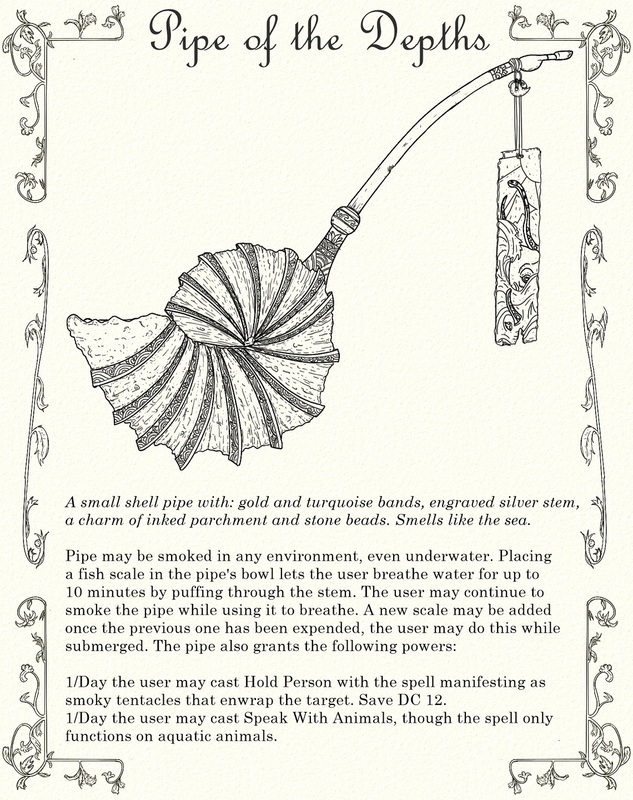 So, I present to you: Pipe of the Depths. EDITED: I didn't like the wording on the original versions, so I changed them. I would also like to thank K Yani for the idea of being able to smoke the pipe while underwater. A small shell pipe with: gold and turquoise bands, engraved silver stem, a charm of inked parchment and stone beads. Smells like the sea. Pipe may be smoked in any environment, even underwater. Placing a fish scale in the pipe’s bowl lets the user breathe water for up to 10 minutes by puffing through the stem. 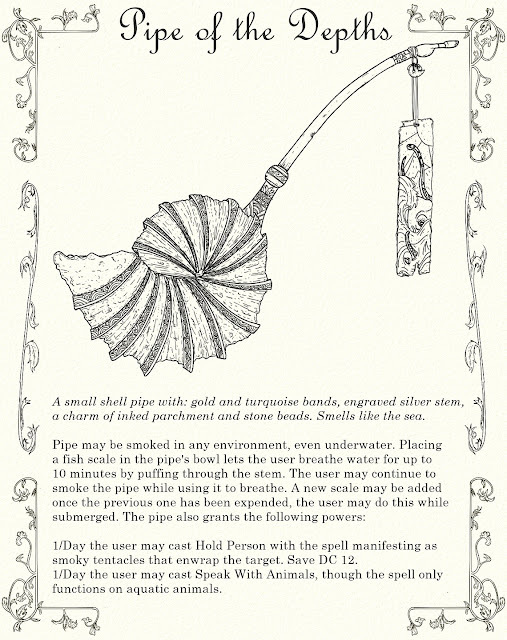 The user may continue to smoke the pipe while using it to breathe. A new scale may be added once the previous one has been expended, the user may do this while submerged. The pipe also grants the following powers. 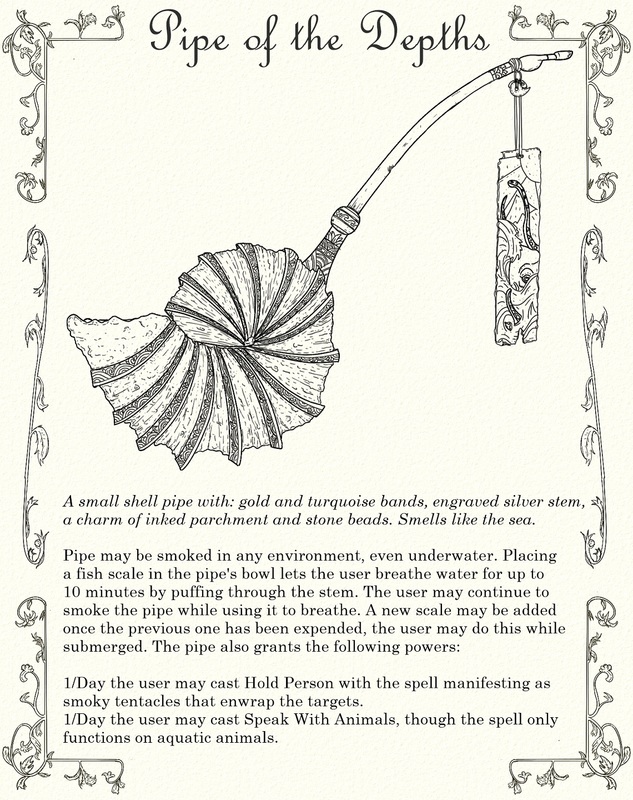 1/Day the user may cast Hold Person with the spell manifesting as smoky tentacles that enwrap its target. Save DC 12. 1/Day the user may cast Speak With Animals, though the spell only works on aquatic animals. 1/Day the user may cast Hold Person with the spell manifesting as smoky tentacles that enwrap its targets.